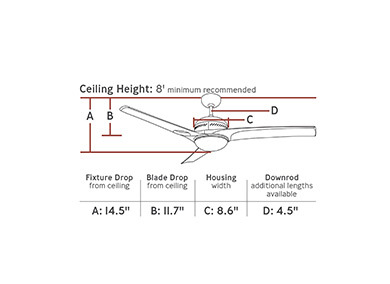 The modern design of the Mach One ceiling fan by Monte Carlo dazzles with an aerodynamic, sleek design with three blades and a 52” blade sweep. The integrated downlight in Matte Opal glass with a 75W halogen bulb (included) light up a room. This fan also includes a two-in-one remote (combo hand-held and wall mount).